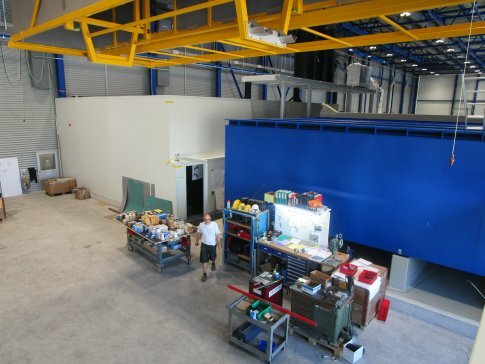 The plant, which is currently under construction, will be the largest galvanic line in Switzerland and one of the largest anodizing and crack-test systems in Europe. The size of the plant is also impressive for experts in the galvanic sector. 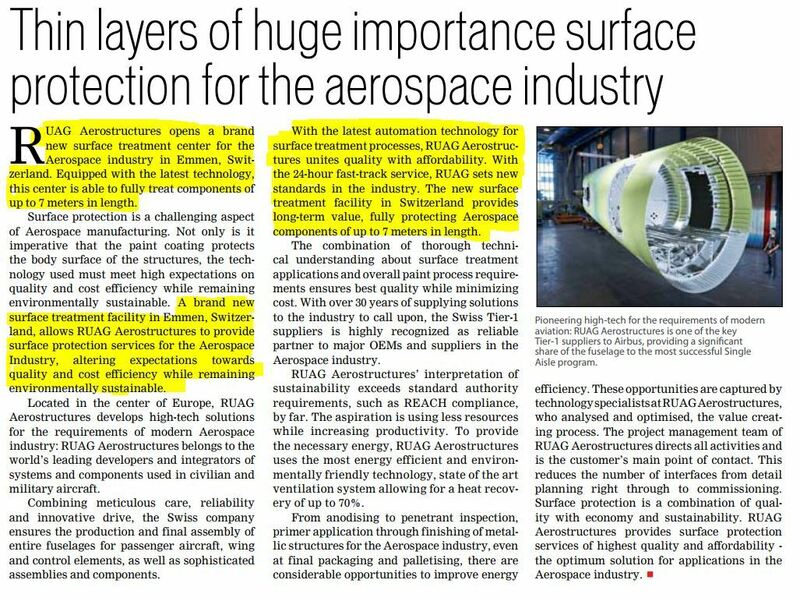 In future, wing parts of the aircraft industry will be anodized and crack-tested in this line. 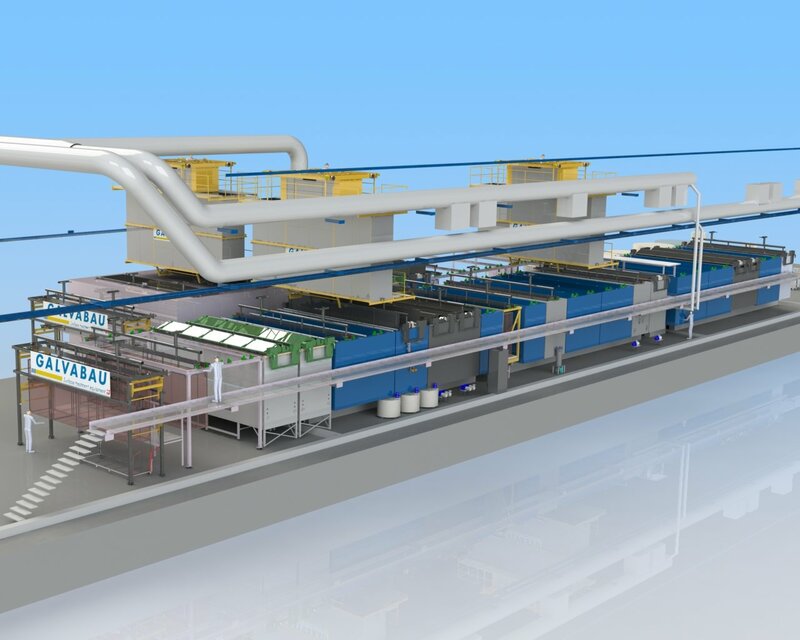 The plant is designed with 2 rows and will be60 m long. The width is approximately 21 m at a height of approx. 11 m.
The usable working window is 7000 x 1000 x 2300 mm (LxBxH). The bath volume of a single rinsing tank is about 28000 liter.